Without warning, Benjamin Sisko is living another life. No longer a Starfleet captain, commander of space station Deep Space Nine, he is Benny Russell, a struggling science fiction writer living in 1950s Harlem. 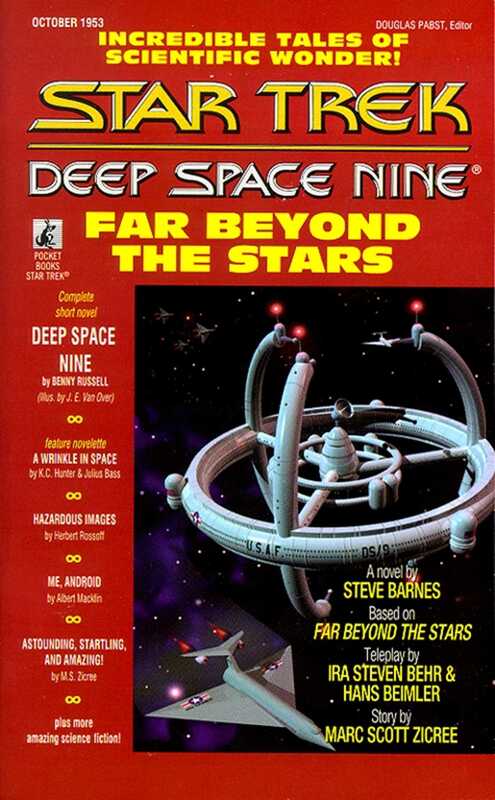 Benny has a dream, of a place called Deep Space Nine and a man named Ben Sisko, and a story he has to tell. But is the Earth of that era ready for a black science fiction hero? Everyone tells him no, but Benny cannot abandon his dream. One way or another, he will tell the world about Captain Benjamin Sisko and Deep Space Nine.